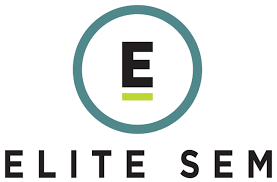 Elite SEM is an award-winning digital marketing agency specializing in paid search, SEO, CRO, shopping, performance display and paid social. Elite SEM helps clients with Search Engine Marketing. In addition to Paid Search and Organic Search (SEO), SEM teams can support Conversion Rate Optimization (CRO), Performance Display Advertising, Paid Social, Shopping & Feed, and cross-device/ mobile strategy throughout all its digital marketing services.